The Blue Jays Marcus Stroman has been on a fantastic run. The Toronto right-hander has given up a total of only 3 earned runs in his last 4 starts. 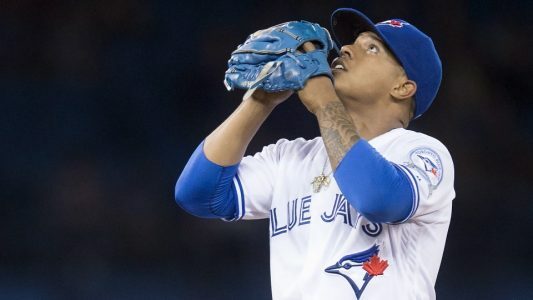 Keep in mind, on the season, Stroman has allowed 2 earned runs or less in 14 of his 19 starts! Danny Salazar gets the start for the Indians here. The right-hander has been out since late May but the fireballer is ready to go here. This guy piles up the strikeouts. Salazar has fanned 73 in 52 and 1/3 innings this season. Also, the right-hander is now healthy again and, keep in mind, he had struck out 69 in his first 47 innings this season! The Blue Jays are 10-3 to the under in Saturday games this season and Toronto had averaged just 3 runs per game in their 5 games prior to Thursday’s upset win at Boston. Stroman has a 2.13 ERA in 4 career starts against the Indians and all 4 stayed under the total. Look for that under mark to reach a perfect 5-0 with another pitchers duel in this one Saturday. Cleveland entered Friday’s action having gone 35-22 to the under in night games and 28-18 to the under in games against teams with a losing record this season. Also the under is 11-5 in Indians Saturday games this year. Look for more of the same this Saturday for both clubs!